For discerning investors looking to own luxury real estate in Barbados, one of the ultimate ‘zip codes’ is the Sandy Lane Estate. Quiet and serene, exclusively private and centrally located along the Platinum Coast of the West, these homes are the epitome of Caribbean island luxury. Sandy Lane began as the brainchild of Sir Ronald Tree, a British politician who built the wonderfully Palladian home of Heron Bay (now famously owned by Lord and Lady Bamford) and is now one of the most sought after pieces of luxury real estate in the Caribbean. When Sir Ronald established the Sandy Lane Hotel in 1961 he was ‘protecting’ his much beloved Barbados West Coast neighbourhood from the inevitable influx of travelers that the new jet-set age would bring to our shores. He secured the 375 acres of the Sandy Lane Sugar Plantation for his development of a luxury upscale hotel and exclusive residential community with a private golf course. His legacy has weathered every economic challenge over the past 55 years and the Sandy Lane Hotel and homes in the estate have remained iconic symbols of wealth and status, attracting visitors and investors from all over the world who dream of owning the ultimate Caribbean address. The Estate itself is very private, with quiet roads meandering through the golf course and some 175 residential parcels ranging in size. The villas on the estate are quintessentially European with some colonial elements in their architectural design, the grounds resplendent with mature mahogany trees, tropical flora, pristine manicured lawns and the occasional visiting green monkey. The latest luxury residence to the estate is the much revered One Sandy Lane, a magnificent beachfront residence comprising 8 Palladian apartments of 10,000 square feet each. These residences have quickly become a favourite among visiting celebrities on the island, known for its superior security and privacy. Rihanna, Simon Cowell, Lewis Hamilton and Justin Timberlake have all stayed since its completion in 2010. Barbados is well known for its culinary expertise, relaxed privacy and luxury beach vacations. 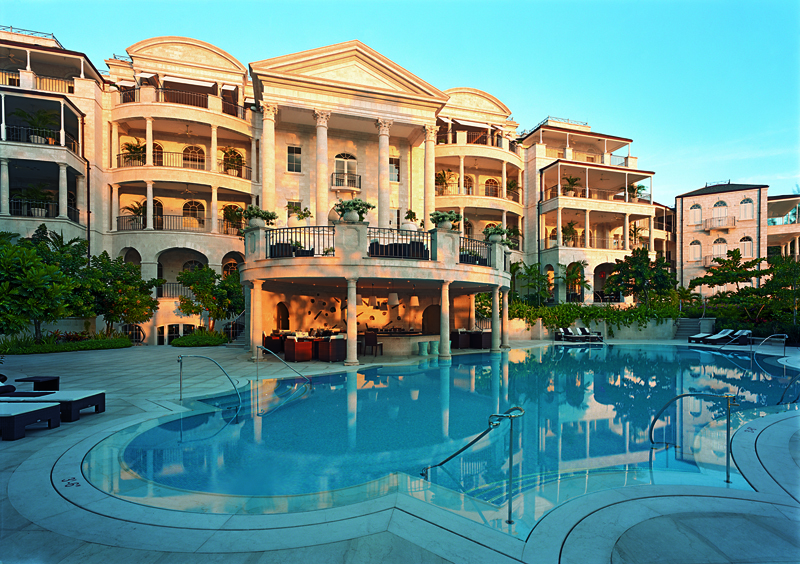 The Sandy Lane estate is located on the Platinum West Coast of Barbados with calm white sand bays, quiet secluded beaches and high-end shops and restaurants. The community of Sandy Lane is well positioned to take advantage of the best of the island when it comes to five star restaurants, The Cliff, Cin Cin, Lonestar to name a few, world class golf courses, luxury brand shops and exceptional recreational services. 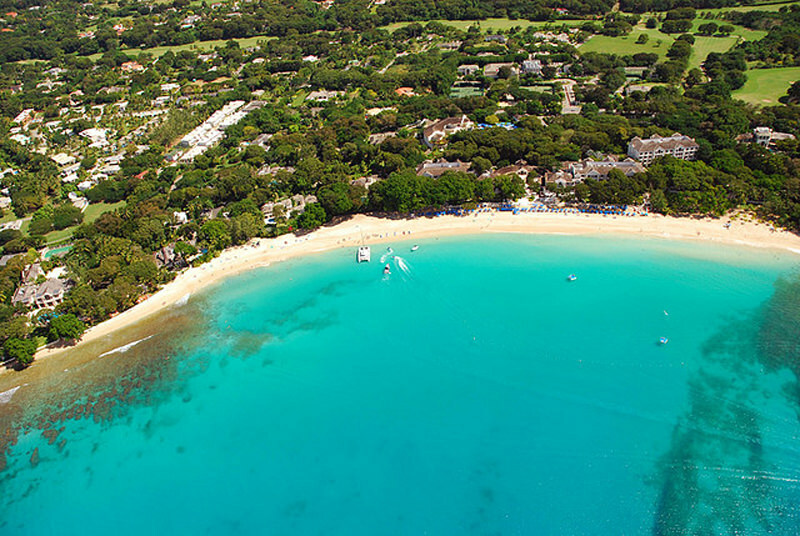 Owners benefit from being part of the Sandy Lane Property Owners Association which functions as a private club and grants them access to the tennis courts, golf course and beach facility of the hotel. The Sandy Lane Estate is without a doubt one of the most distinguished and illustrious addresses in Barbados, if not the entire Caribbean. Learn more about what makes Sandy Lane a unique opportunity in this article from Terra Caribbean COO Hayden Hutton. Questions? Please contact us or head over to the Ask our Experts section. Sign up for our bimonthly updates here and learn more about exciting upcoming events by subscribing to our newsletter. Ready to find your dream house? Download our digital copy of the 2016 Red Book here for a complete listing of all our available properties. Getting excited about your next holiday? Visit Blue Sky Luxury and we’ll help you find the perfect vacation villa for an amazing getaway. Be sure to like and follow Terra Luxury and Terra Caribbean on social media.